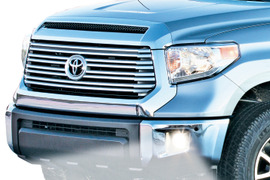 PIAA introduced two new kits for mounting LP530 LED lights in 2014 and 2015 Toyota Tundra pickup trucks. 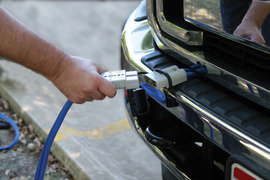 Buyers Products introduces new heavy-duty booster cable with plug-in connector. SPOT LLC announced the launch of the new SPOT Trace - an anti-theft asset tracking device. American Eagle Accessories Group has recently updated the SHD-60 hydraulic drive truck-mounted air compressor for improved installation, maintenance and serviceability. The updates include a new metal enclosure with a flip-up lid, and new front-mount bulkhead connectors. 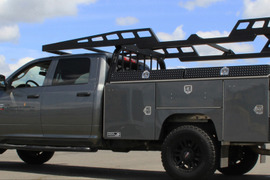 Highway Products, Inc. manufactures Light Weight Aluminum Service bodies to meet the growing industry and customer demands for green fleets.